Wyldecrest Parks have a wonderful choice of premier holiday parks around the UK. With spectacular views and locations close to breathtaking coastlines, our parks are designed to help you unwind and leave your worries behind. Whatever your preference, we have a park to suit all tastes and budgets, whether that is strolling along miles of deserted golden beaches or the high octane activities of water skiing and speed boat trips, we have a park for you! 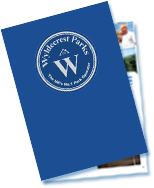 Wyldecrest Parks offer both holiday homes for sale and traditional family holidays/short breaks. If you’re looking to purchase your very own holiday home, then you have definitely come to the right place. Our modern and contemporary lodge/caravan holiday homes start from only £8,995*, or if you wish, you can choose and design your very own bespoke lodge on your dream park. Our holiday booking service is very popular and many of our holiday units now come complete with a private hot tub for you to enjoy throughout your stay. Prices are very competitive with holidays starting from as little as £139* for up to 6 people. We offer you the chance to book full weeks or take a short break over a long weekend/midweek. We keep our parks to the highest standards and choose only the most beautiful of locations. Therefore, whichever park you choose, you can be safe in the knowledge that your holiday home will be situated in peaceful and secure surroundings.